Although Hedy Lamarr would rise to the pinnacle of the best-known actors during the Golden Age of Hollywood in the 1930s and 1940s, she was born in Austria. 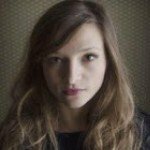 Indeed, she began her career as an actor in Europe, starring in a ground-breaking and controversial film called Ecstasy. At the time Adolf Hitler was rising to power in Germany, Lamarr was married to the largest munitions manufacturer in Austria. Her husband’s company built armaments for the Nazis as well as for Benito Mussolini in Italy. On the eve of Hitler’s annexation of Austria into the German Reich, Lamarr fled her husband, her marriage, and her homeland. She made for the United States via a steamship, meeting the head of Metro Goldwyn Mayer Studios, Louis B. Mayer, along the way. 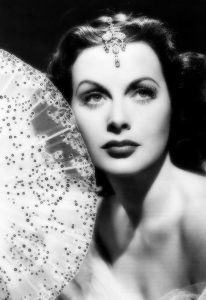 Perhaps because of her Jewish heritage, perhaps because of Hitler’s annexation of Austria, Hedy Lamarr developed a visceral hatred of the Reich Chancellor. She became incredulous about how often Allied torpedoes missed their mark when taking on German U-boats. The Nazis proved themselves highly successful at jamming the guidance of Allied torpedoes, sending the weapons off course. Unlike nearly anyone else in the United States, and unknown to others as Hitler expanded the Nazi Reich, Hedy Lamarr had the intelligence and tenacity necessary to contemplate and realize a solution to the Allied torpedo guidance problem. 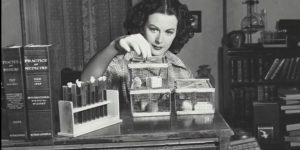 When not on the set in one film or another, Lamarr spent some of her time tinkering with inventions. At the height of her career as a movie actress, Hedy Lamarr could be found making three films at the same time in some cases. Her filming schedule was excruciating oftentimes. The fact that Lamarr was engage in a challenging filming schedule did not stop her from tinkering with inventions at home and when not on the set. A school dropout as a child, Lamarr had an innate talent in the realm of inventing. For example, as an inventor, Lamarr developed an improved stop light. She also is credited with enhancing the functioning of the tissue box. As mentioned previously, Lamarr had a burning hatred of Adolf Hitler. She was horrified by the ineffectiveness of Allied torpedo guidance. Within a very short period of time Lamarr conceptualized what ultimately would become known as frequency-hopping spread-spectrum technology. In the end, it was synchronized player pianos that inspired Lamarr in her development as the fundamental technology upon which the Digital Communication Age was founded. Player pianos individually are loaded with rolls that appear to be gibberish to a person looking at them. If two player pianos are outfitted with the same role, they will play the same tune at the same time. Outsiders cannot anticipate what is coming because it is based on indecipherable and yet matching rolls. 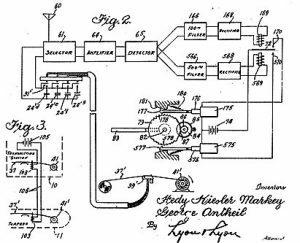 Ultimately, Hedy Lamarr was awarded Patent Number 2,292,387. Her technology was christened Secret Communication Device. Lamarr donated her technology to the U.S. military for be used in defending against Adolf Hitler and the Axis forces. As is evident at any given moment in the world today, the technology created by Hedy Lamarr has had a profound impact on the world. She never received so much as a dime for her efforts. She was first and foremost a patriot and have no desire to profit from her efforts. Despite gleaning a patent for her invention, the male powers-that-be in the U.S. military establishment patronized Lamarr and initially shelved her technology. These men took the unfortunate position that a woman lacked the capability to develop this type of paradigm-changing technology. Ultimately, these men were proven wrong, very wrong. After donating her patent to the United States government, Lamarr was told to do what other Hollywood actresses were involved with at the time. She was instructed to go sell war bonds. Not to be deterred by males in the military, Lamarr did go sell war bonds. In the end, she outpaced everyone else in the entertainment industry in the sale of war bonds. The full capabilities of Hedy Lamarr’s technological concepts were realized during the Cuban Missile Crisis. What was called the Secret Communications System was installed on U.S. Navy ships to take on the Soviet Union during the conflict over the placement of that country’s nuclear weapons in Cuba. Although Lamarr never had an interest in financially benefiting from her work as an inventor, later in her life she grew to have a desire to be recognized for her brilliant efforts. She would finally win a significant award for her work as an inventor, an accolade sometimes referred to as the Academy Awards for inventors. When Lamarr was telephoned to be advised of the honor, her response was “it’s about time” and hung up the phone. She did not attend the ceremony. Perhaps nothing more concisely sums up the contributions of Hedy Lamarr than the final moments in the theatrical production of Stand Still & Look Stupid, the play that chronicles the incredible life of Hedy Lamarr. 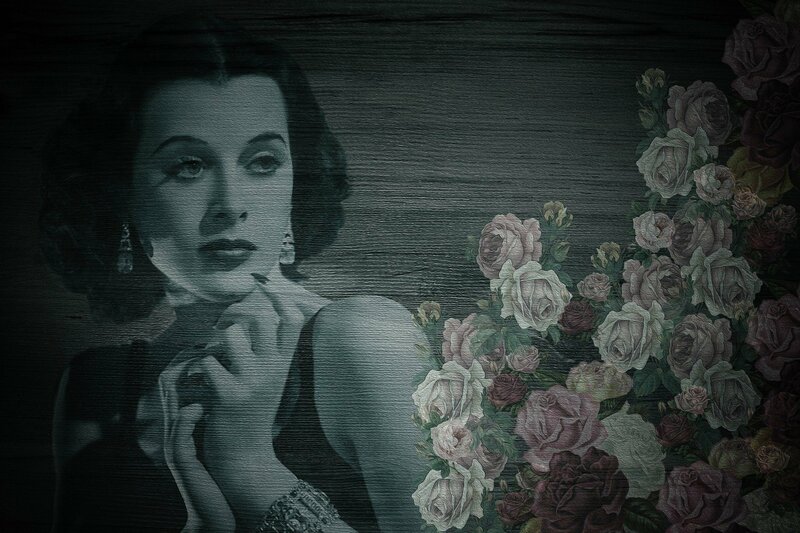 As we move forward into the 21st century, more and more people are learning the full story about Hedy Lamarr. Ultimately, a fair assessment would be that Lamarr ultimately will be regarded as one of the most important inventors of both the 20th and 21st century. She not only will be inspiration for women going forward but for all people no matter their gender.